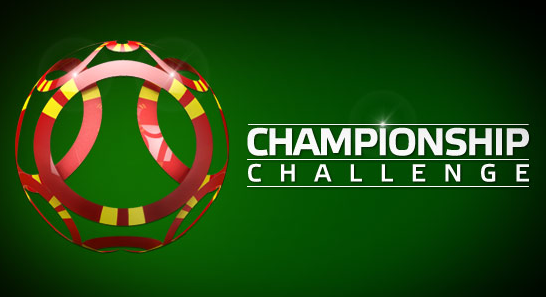 The Championship Challenge runs from now until July 1st, 2012 at 23:59 ET. However, the promotion can also end if all prizes have been given away before this date. Getting involved in the Championship Challenge is easy: you just play real money poker online at Party and collect points. Every time you earn 10 points, you’ll be awarded one football player; sometimes the players come with an instant prize, while others represent a piece of a larger prize. The goal (pardon the pun) here is to collect all four players from a single team, or get every player from an entire Group. For example, if you collect Poland’s goalkeeper, defender, midfielder and striker (entire ‘team’ for this promotion), you’ll receive $1,200 cash. If you were to get all 16 players from Group A, you’d win $7,000! The absolute top prize of $100,000 is offered to the first person to collect all 64 players. Home » Rakeback News » Party Poker’s Championship Challenge: $100k Prize!